Sign up for our newsletter to be the first to know about this book's release. Relational Constellations have shown many hidden forces that operate in our relational life. The effects of many bonds operate across time and space and connect us inextricably to our past family generations. Relational constellations can expose troublesome love patters and how they lead to entanglements, resulting in illness and suffering. They can also show us how to make love successful. Explain unique love patterns that have been discovered recently and how they affect your relational and family life. Describe the tasks, barriers and solutions for love to be successful. Clarify the patterns that govern the relationship between couples and between parents and children. Show you how to release yourself from the suffering that your family lineage may bring to you, your family and your children. Give a full overview of the technique and insights derived from Relational Constellations. Make love and belonging a reality in your life. Edited by: Dyrian Benz, PsyD. A collection of blessings, prayers, invocations, quotes, and poems. Included are wisdom poems, traditional invocations and blessings, and a wide range of quotes from a number of authors – many newly translated. Include your shipping address and contact details. 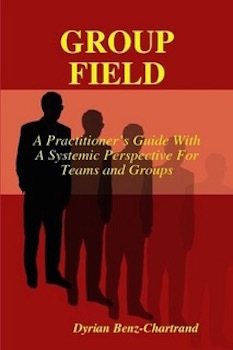 GroupField is a practitioner’s guide with a systemic perspective for leading organizational and management teams and therapeutic-process groups. The GroupField approach evokes the competence and creativity of the whole system, instead of only the individual members. GroupField supports self-organization and maximizes learning of the members together and from each other. GroupField is a systemic, process based group work and not related to the constellation approach.